The Little Book of Emerging Markets: How To Make Money in the World's Fastest Growing Markets | Free eBooks Download - EBOOKEE! Posted on 2013-10-15, by bitsh01. The world's economies are in a state of flux. The traditional dominance of the G7 countries is being challenged by emerging market nations like Brazil and India, and while investment opportunities in these countries abound, the risks can be extremely high. In this Little Book, Mark Mobius, an internationally-renowned expert on emerging market funds, explains the ins and outs of emerging market investment, providing practical guidance on picking industries and companies likely to win, and explaining why policies and regulations matter as much as balance sheets, how to recognize global contenders, techniques for managing risk, and how to get out at the right time. The emerging markets are expected to be a key driver of future global economic growth, and with The Little Book of Emerging Markets in hand, you have everything you need to take full advantage of these incredible opportunities. 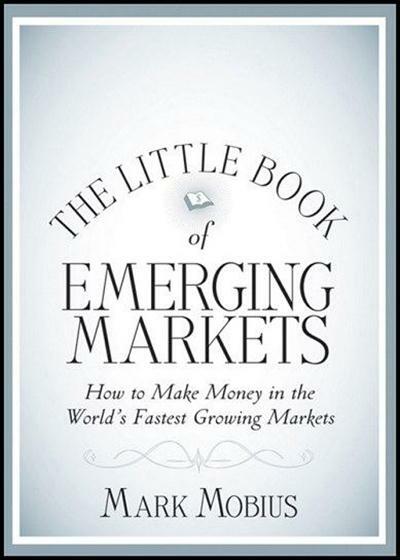 The Little Book of Emerging Markets is the perfect little guide to the world's most exciting investment opportunities. No comments for "The Little Book of Emerging Markets: How To Make Money in the World's Fastest Growing Markets".